Posted on April 7, 2019 at 2:25 pm. Join us in fellowship at 10.00am to celebrate the most important day in the Christian calendar, the day on which we celebrate the Risen Lord. We will be blessed with a wide variety of delicious breakfast items to suit all tastes! Please login to access the Messages. 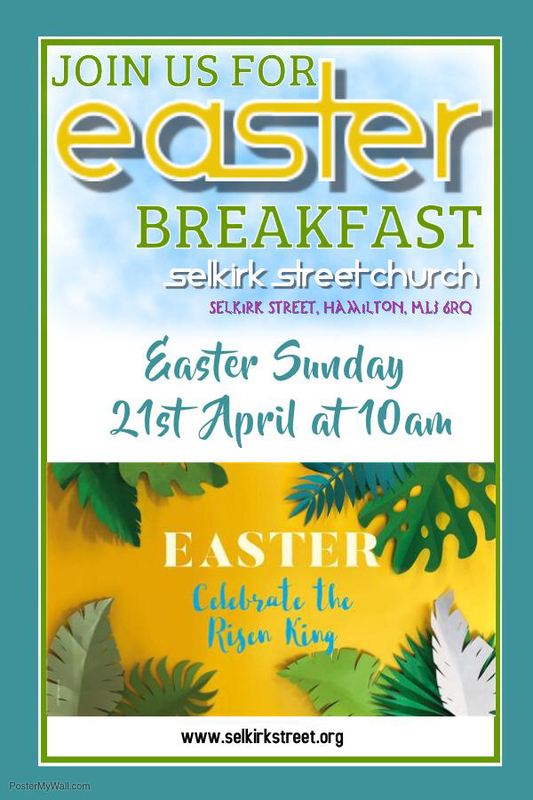 © 2018 Selkirk Street Evangelical Church.